There’s a growing buzz in the world of business about the power of mornings—and it’s not just fueled by coffee. A growing chorus of business voices is praising the power of early-morning routine to lower stress, boost productivity, and fuel business success. Are these voices right? To find out, we asked X of Calgary’s leading entrepreneurs how they start their days. Their answers provide a window into their habits and reveal a surprising diversity. 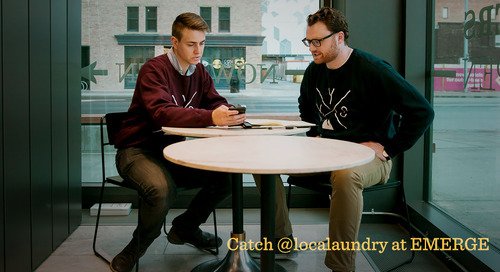 Here’s how Calgary’s entrepreneurs rise and grind. “My routine is to wake up at 5:45, have a shower. Go downstairs and let the dogs out. They eat before I do. “Then it’s straight to coffee. Typically I don’t look at my phone until I’m ready to sit down. You’re not focused on the news or what’s going on or if your business burned down. “Then for the most part I sit down and get to work. I like to ease into the day. I like doing a lot of my emails first thing in the morning between 6am and 9am. No one can get back to me during those hours, so I can rattle off everything. “I used to wake up around 7:30, one eye open on the phone, go through Instagram. And as I was doing it I’d feel guilty. “But for 2019, I’ve been getting up at 4 o’clock to start meditating at 4:30 for about half an hour. And then I have a tread climber, kind of a bowflex thing. So I’m not in the gym but I’m getting a sweat. Then I sit in the sauna for a half an hour, and while I’m doing that I listen to a podcast. “So I’m getting good vibes, I’m sweating, I’m trying to be grateful, I’m visualizing my day. But I’m also getting a jump on my day. By 6:30 or 7, I’ve showered and I’m ready to go and I’m working through stuff quietly and then I’m meeting my team by 8:30 or 9 and getting the day going. “I just do emails. And I get on my phone and do social media. It’s the same every day. I don’t have any inspiring morning routines; I’m such a night owl. If I can work from 12-3am I’m happy. “I wake up, first thing I do is breathe, do my breathing exercises, counting my breaths. For me it’s important that when I’m awake I’m grateful for my breath. “I don’t eat breakfast. Have you heard of bulletproof coffee? It has the brain octane, mushroom extract, and collagen. I drink one of those every morning and then I don’t eat until around 12 or 1pm. “I try to get up every day between 5 and 5:30. Spend some time at home with my wife and make coffees. Get into work between seven and 7:30.